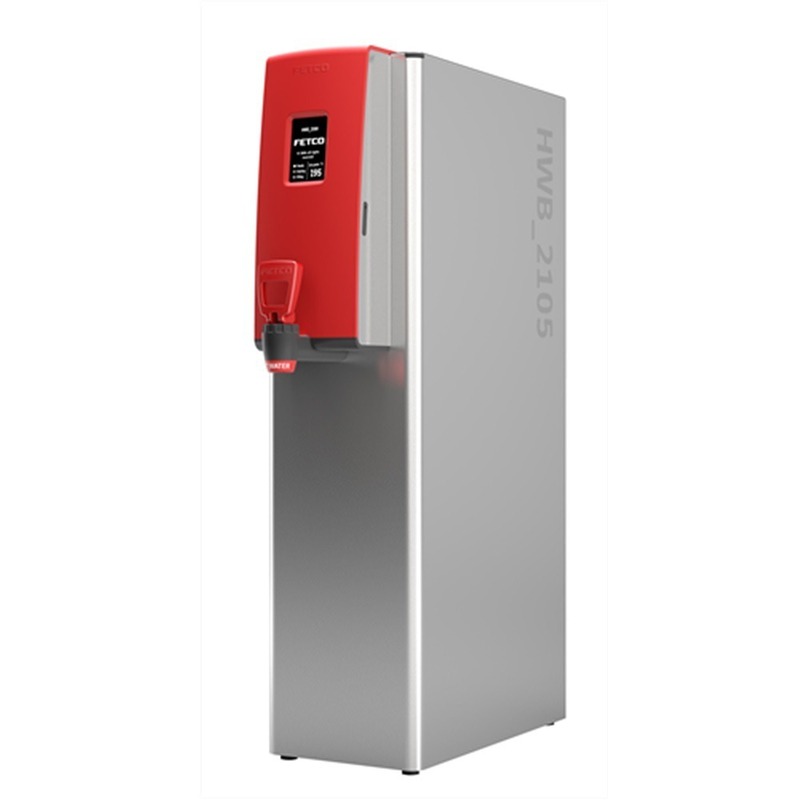 The Fetco HWB-2105 Hot Water Dispenser combines a convenient pull handle with the technology of a touchscreen interface. With the HWB-2105, hot water is literally at your fingertips. Simply pull the red handle to dispense hot water for making tea or oatmeal. Back of house applications include using the water for cooking sauces and gravies. 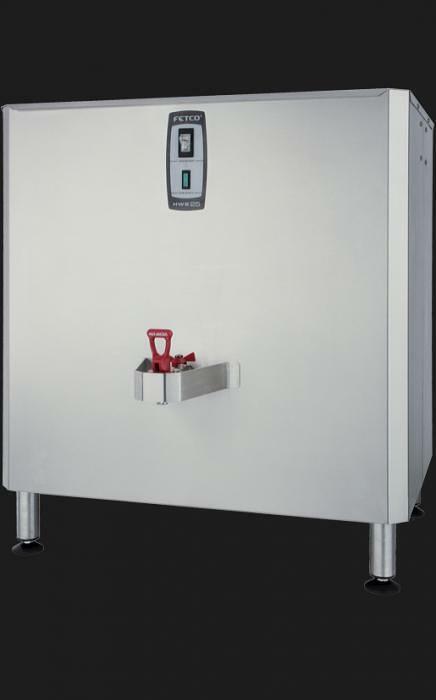 The innovative touchscreen displays water temperature and makes it easy to adjust temperature or access diagnostics. The touchpad display makes in easy to make temperature adjustments or access the metrics and diagnostics. Precise temperature control is inherent in the internal controls. Insulated walls and energy efficient design offer minimal heat loss and significant energy savings. Soft silicone dispensing tap prevents glass breakage. 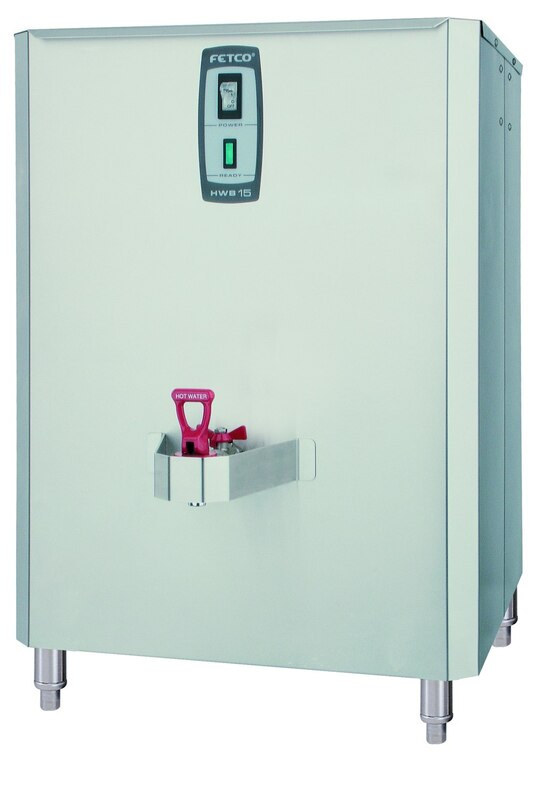 Controlled Refill manages water intake and recovery time to ensure hot water during peak usage times. The HWB-2105 hooks up to a waterline and operates on 208-240V electricity. 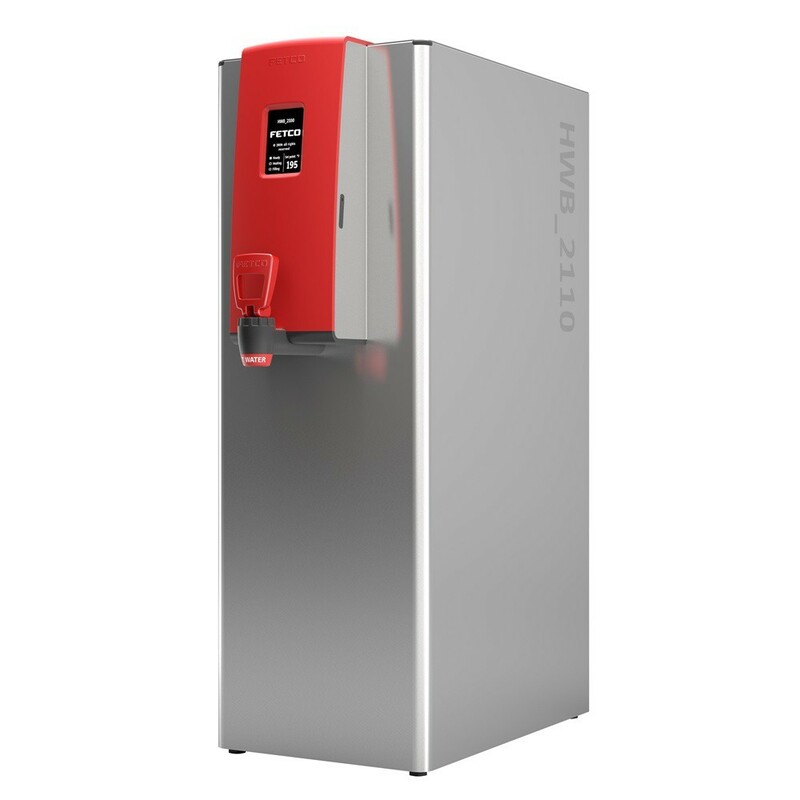 Output is 6-7 gallons of hot water/hour depending on electrical configuration. 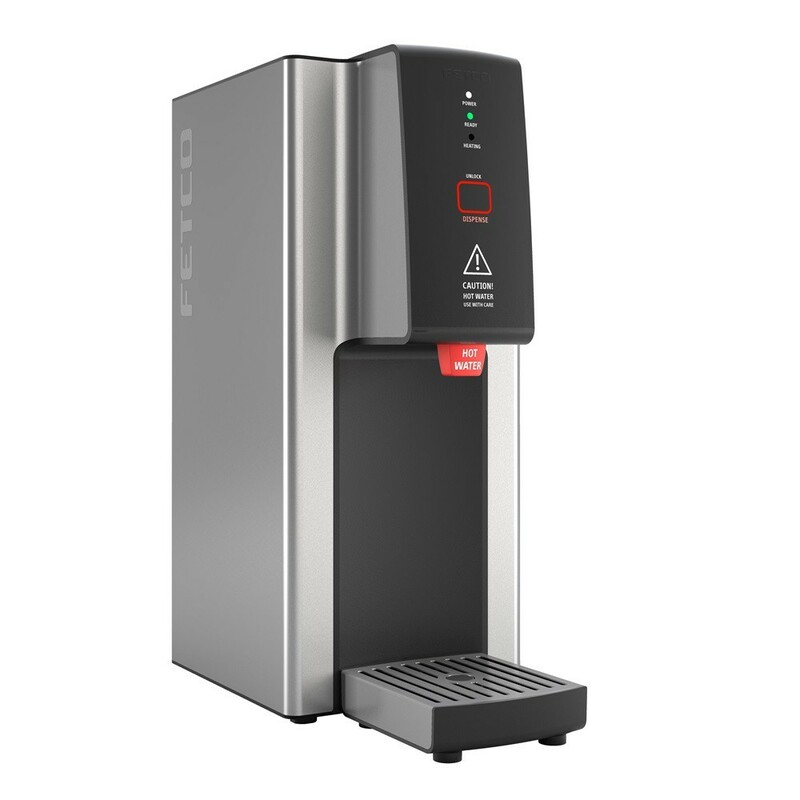 Want even more information about this great coffee maker, then check out the detailed Fetco HWB-2105 Hot Water Dispenser Product Spec Sheet.